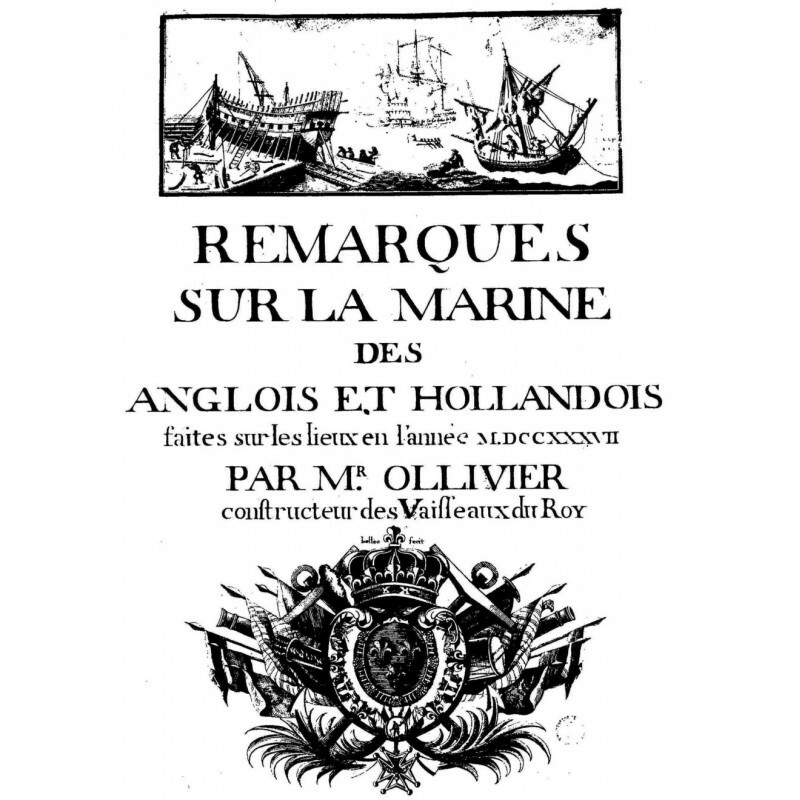 In 1737, Blaise Ollivier, Master Shipwright at Brest, was ordered by Maurepas, the French Minister of the navy, to go to Engnand and Holland in order to find out everything possible about how ships were build there, and what France might usefully imitate. 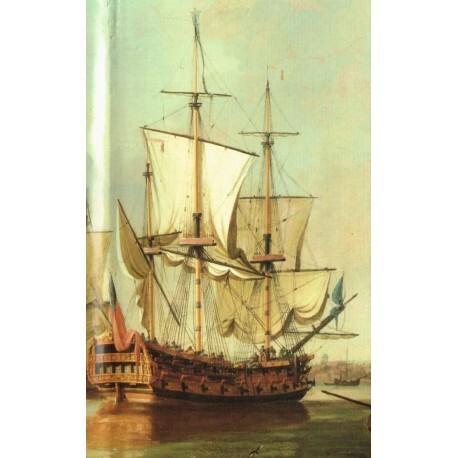 Ollivier's secret mission lasted nearly five months, during which time he visited all the major naval dockyards of both country except Plymouth. 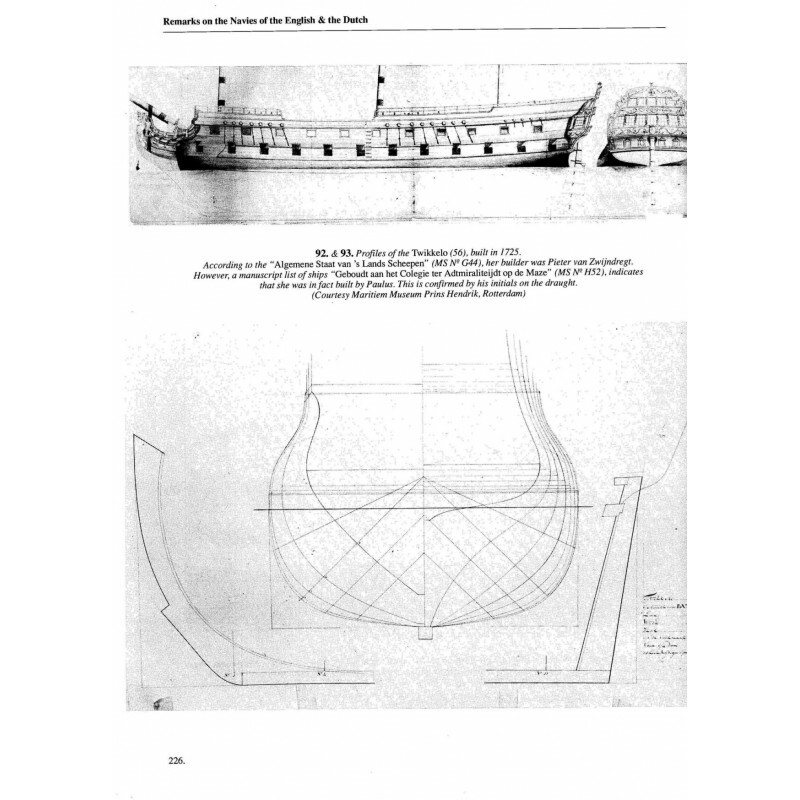 At the conclusion he wrote a 360-page report entitled "Remarks on the navies of the English and the Dutch", discussing everything he had seen in meticulous details, evaluting English and Dutch practices and comparing them with techniques used in France, illustrating his findings with 13 sheets of drawings and plans. 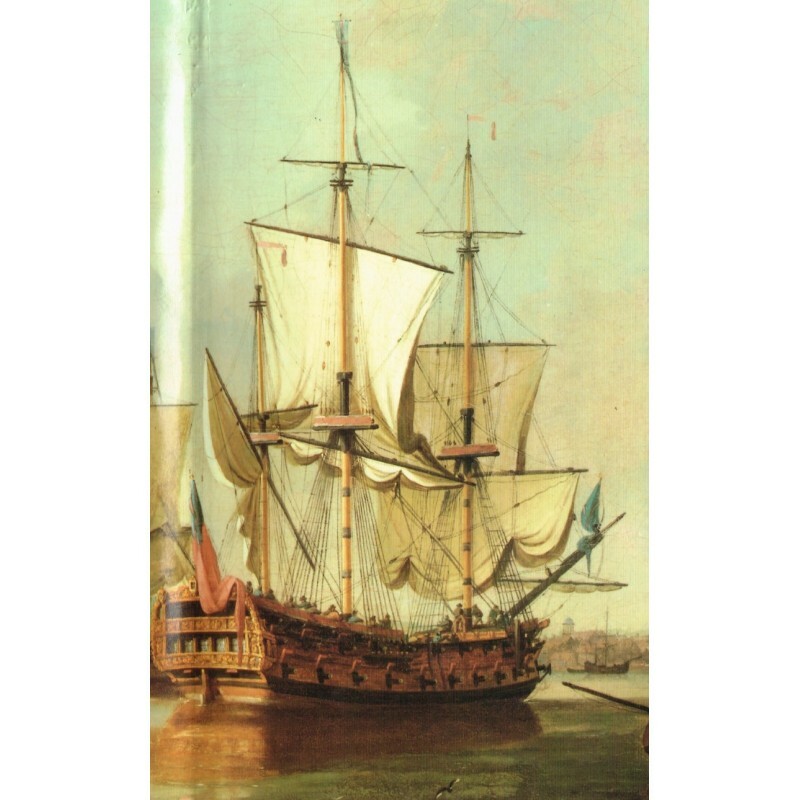 Blaise ollivier's report provides a remarkable insight into shipbuilding in the 1730's, a period about which relatively little is know. The book containt the full texte of the "Remarks" in both the original French and in translation, fully annotated and with a lenghly explanatory introduction. 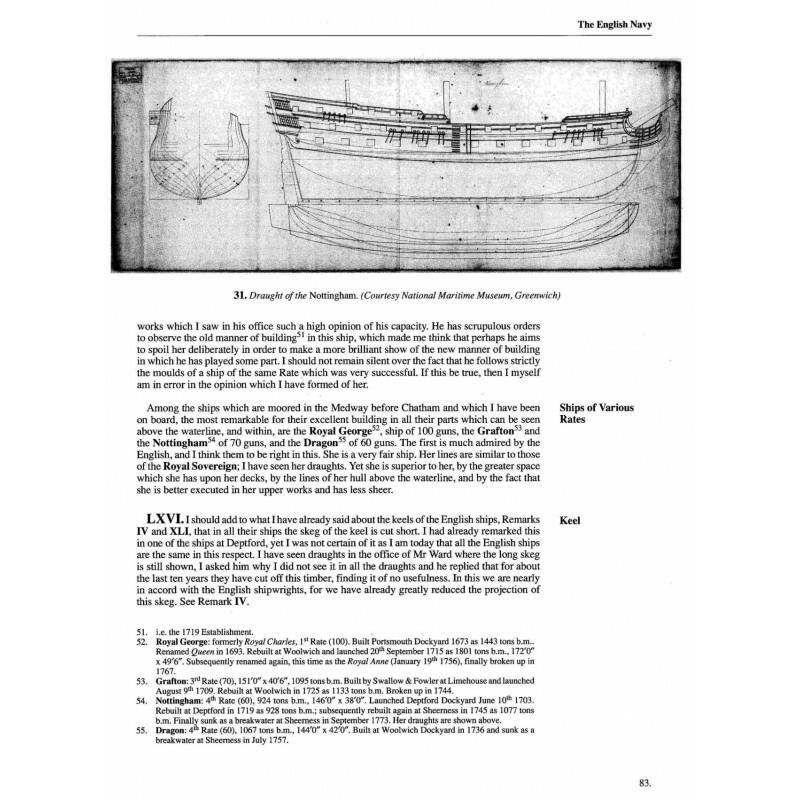 It is lavishly illustrrated with nearly 100 contemporary engraving, plans, ship draughts and other iconographic material. 24 x 31cm format, full green cloth binding, sewn section with headband. 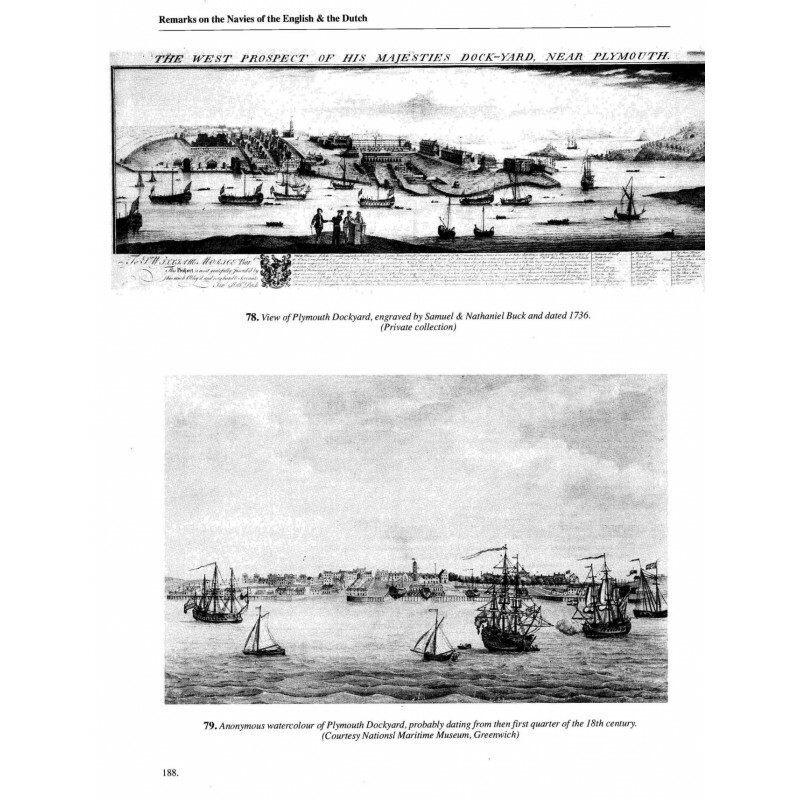 Laminated inside dust jacket, with a four-color illustration of the port of Woolwich . 380 pages, 135 gr paper, with nearly 100 illustrations and iconographic material.